In this post I'm going to explain the procedure of wearing a gemstone. Many people do not know the method of wearing a stone so I thought to write this post. I am listing the method in a step wise manner below so that it is easier to understand for the readers. should be avoided because they may give side effects in terms of bad health, relationship gone wrong, fluctuations in career etc. They should be suggested only in rare circumstances. 2) Quality of stone: Quality of stone in terms of cut, clarity, color and luster should be good. Stones with irregularities and internal cracks should be avoided. If certain areas/pockets of stone tend to exhibit brilliant color that changes in hue and size as the stone is moved, this is considered a defect and the stone should be rejected. The clearer the stone the better it is. Synthetic and chemically treated stones should be rejected. Stones should be natural and untreated. 3) Suitability: Most of the people just buy the stones and start wearing them which is not the proper way. Stone should always be tested before wearing. It may be a good stone as per your horoscope but it still needs to be tested. It can be tested by keeping the stone/ring under your pillow at night or wearing the stone on your body so that it touches your skin. It should be done at night only. Do it for 7 nights and see if you notice bad health, bad news or bad dreams etc. If you do, then the stone is not suitable for you. Please reject it. Don't worry there are many other remedial measures in astrology which you can adopt. 4) Muhurta: This is one of the most important steps in wearing a gemstone. The planet whose stone you are going to wear should be in a good position and strong at the time of wearing. Apart from this, the nakshatra on the day of wearing should be auspicious. Stones should always be worn during shukla paksha (bright half of moon) and on the day of the planet whose stone is being worn. This quick reference guide can be referred for the days of every stone. 5) Method: Ring should be made in such a way that the bottom of the stone keeps touching the skin. Alternatively a pendant can also be made, provided it touches the skin. Dip the ring/pendant in unboiled milk or ganga jal a night before. Get up early in the morning as the ring should be worn within one hour of sunrise. Take bath and wear clean clothes. Preferably wear the color of the planet whose stone you are going to wear. Then, take the ring out from the milk/gangajal, sit on the floor on a carpet or a piece of cloth/aasan, face towards east direction, keep the ring in your right hand and start reciting the mantras of the planet whose stone you are going to wear. You need to recite the mantra for at least 108 times. Please refer quick reference guide to know the planets and their stones and refer this post to know the mantra for each planet. After this you can wear the ring. My DOB is 17th Sep 1981 ,birth time is 11:40 am. My birthplace is rewari, haryana. Please tell me which gemstone are best for me. I am having undergoing stress in my family and career growth..
Could you pls advice me which gem stone i can wear and provide +ve responses. Thanks for such wonderful information about astrology. My marriage is delayed and not happen yet, Which Gemstones should i wear,currently i am wearing yellow pukhraj, can cats-eye will help, along with it any other gemstoneand mantra etc. Also career point of view there is no good progress from long time, promotion is due from few years. 1) My marriage is delayed and not happen yet when will it happen, any remedies like gemstone, mantra etc, should i wear cats eye will it help. 2)Also career point of view there is no good progress from long time, promotion is due from few years.Thinking of changing job, will it help. Currently Shani Maha Dasha is there. My DOB 6th Feb-1979 / 04:05 AM / Ahmedabad. Struguling a lot with family and social problems. Request you to advice gemstone or remedy. You need to wear shani and rahu yantra. Thank you very much. I want to share one small observation that whenever I wear my black shirt on Wednesday, it becomes very active and good day. Don't know the reason, just want to share. Sir I am going through very bad phase of my life... I am struggling for job after completing my MBA since 8 months....not lucky yet. Also i am not getting a good match for marriage since long. I lost a gold ring in dec 2011 starting & after it nothing is going well. I have been suggested to wear sunehla on my index finger & Jamunia on my middle finger. I m preparing for competitive exams. Please guide me to get success in exams and get a government job. hi i m mehul shah from mumbai. pl tell me which stone i prefer to wear accoundind to my rashi. My DOB is 22.08.1984 and time is 12:04 pm, place is delhi. I am unmarried and searching for a good life partner. Till now, my family has been facing a lot of problems in finding a suitable match. Kindly suggest a remedy. I am also facing losses on almost all the financial investments. Kindly suggest the remedy for the same too. This s Paresh Choudhary, my DOB is 13/01/1984 nd Birth time is 12PM, someone suggest me to wear Firoza in silver ring on little finger. Please guide me whether its correct or not. hello gaurav sir, myself kuntal , my dob-10/11/1989 nd birth time-20.24 pm many one suggest me to wear a blue saffire wwith panna is it right choice for me??? My DOB is 2nd May 1962, Birth Time is 17:00 Hrs at Calcutta. one guruji has told me to wear 6 rati panna in my hand ,just wanted to know whether i shud buy that and wera that ,and also he said there is angaratmak dosh in my kundali and i need to go for pooja for that ,just wanted to know wheather that will be beneficial or not,if yes i will do all this. time: 1:51 pm in afternoon. Ask him to paste a mars yantra on the main entrance of the house to be sold. Wear a piece of raw turmeric in yellow thread around your neck. It will have same effect as that of pukhraj. Sir, My Name is Mahesh Naik, My DOB is 27th October 1979 at 4:05Am. My Birth place is Karwar ( Karnataka). Request you to suggest me Gemstone pls. Will be awaiting for your valuable reply. Eemrald is the best stone for you. Emerald is the best stone for you. My Nami is Rohit.DOB-18-04-1986,TIME 12.30PM Ghuwati,During the mahadasha of venus and I have weared white coral, but some one suggested to wear Coral. So can i wear coral during the mahadasha of Venus or can i wear both. Red coral is the best stone for you. i want to know about my career....my monitory power.....my marriage....is my destiny shine?..when?....what gemstone i wore? opal is good for me or not? i got unsuccess in my career life and love too? please help me out? Sir mega nam Akash Shrivastav he.mega d.o.b 28/12/1994 he magar time conform nahi he .sir me ye banana chahta hu ki me non as ratn pahnu kon as nahi Lenin time pata n hone ki wajah we kunfali nahi wanva pa Rana hu. Sir please help me.bas itna pata he k Mesa janm morning ka he. Hello ! My pukhraj developed cracks and I removed it off from my finger just within 20 days of wearing it. Now how should I dispose it off ? Should I simply throw it off or leave it at some particular place. Same with my old white pearl (which I have to replace with a new one) and panch yantra (cracked from inside) placed in my home mandir ? How should I dispose all 3 of these ? Pls suggest. Energize all your rings on 29th June as per above post with mantras. Aap kachchi haldi ke ek tukde mein chhed karke yellow dhaga daalkar use apne gale mein daal lijiye Thursday ke din. Thanks for your time sir, it really means a lot to me. can i able to get financially independent in coming months and started my tech business? i know, it's not a smart question but if u answer, it will give me a clarity and decide my working direction. My name is Ramesh.D. My DOB is 15th January 1979. I born in Bangalore (Karnataka ) at 5:15Am ( Approx).. Kindly help me suggesting suitable gemstone which will suit me, and also advise if any precautionary measures to be taken before wearing gemstone. You should wear a yellow sapphire. I am Ramakant born in Bombay on 23rd January 1968 at 4.51 am. I was wearing Yellow Safire in gold and pearl in silver. A jyotishi told me to wear ruby additional in index finger which I made in silver and started wearing from today. is it ok.
my date of birth is 5 dec 1985 and time is 12:00 noon....which stones should i wear for career and money,prosperity and luck?....for now i am wearing pukhraj,gomed and munga(since i am manglik). Place of birth: (Kidwai Nagar) New Delhi. Right now I can't afford a new Yellow Sapphire piece (after last one cracked). So for now, I am thinking of either to wear a Brihaspati yantra in my neck (red thread) or, keeping it in my wallet. Would that suit me as well as a Yellow Sapphire. If yes, which one (of the two) would be better and between 3rd July or 10th July, 2014, which date has the best muhurat ? Yes that would suit you. 29th June is the best muhurta. Wear it in the neck. ok, thanks a lot. But 29th June is a Sunday. Is it ok to do something related to guru (brihaspati) on a Sunday (ravivaar) ? And is there any procedure which should be followed for that also like one does for gemstones ? You can still do it on Sunday because an auspicious yoga is falling on this day so it's okay to wear it on this day. I am Amit. I am having serious health problem(Digestive disorder) and facing difficulties in every sphere of life so please suggest me which gemstone is preferable for me. Right now, I am wearing Sunnehla substitute for Yellow sapphire(Right Index), Emerland(Right Small), Opal(Left Index) and Moonstone(Left Little). Good Morning Sir, Myself Sanjay DOB-19/08/1980 time between 9:30 to 10 morning and Place Chhapra. I'm wearing Emerald and Opal. I'm also planning to wear substitute of Neelam. Would Neelam good for me? Yes but make sure you test it as given in above post before wearing it. Please remove Sunehla. You should wear white opal, neelam and Ketu yantra. Mera Naam Sanju Hai, Mera DOB 29/01/1982 ,Place Banda(UP) time, 00:30 AM. (28 ki night ka janam hai) Sir Mujhe kaunsa stone pahanana chahiye ? Mene Panna Pahan rakha hai. Kya ye mere liye theek hai? Hello Sir, My Name is Shobha, My DOB is 9/9/1987 place Siwan(Bihar) Time 16:30 evening. I'm preparing for banking services but no success yet? Will I get a gov job? I'm very frustrated these days. Mene Opal pahana hua hai .kya mujhe koi aur stone pahanana chahiye? Currently I do not wear any stone. 1) I have been asked to wear Ruby. I have made a gold ring with aprox 6 ratti Ruby. Can you please confirm it is right stone for me. Please suggest these are the right stones for me. I can wear moonga as a pendent too as it has to be worn in the same finger as the Ruby. pahanana chahiye? aur business ke liye..
You should wear a yellow sapphire. You should also wear Mars and Rahu yantras. Yellow sapphire is the best stone for you. You should also wear Rahu and Mercury yantras. Rahul Pal. Sir, My DOB is 8th March 1978, time 10.13 pm, please tell me what stones I need to wear for career and success. Where to throw away recited thread if it (#1 remedy) is broken or removed itself ? I am sachin from gurgaon. Time - 9:15am Place - Jaipur, Rajasthan. Your should wear it in right hand ring finger. Wear it on 27th July morning. Thank you very much gauraviji..should I enclose it in silver and what mantra during wearing the opal..thanks again..
having lots of problems, marriage problem, job problem, planning to wear pukhraj in couple of days, but dont have proper guidance, kindly suggest proper stone and its vidhi to wear it. You should wear a pukhraj as per the procedure mentioned in above post. Wear it on 27th July. You should also wear a Mercury yantra and recite the mercury mantra "Om Bam Budhaaye Namaha" for 108 times daily. I am going to wear ruby this sunday, i got my kundli checked by an astrologer but need your valuable comments.... Is it suitable for me to wear.. I am wearing it in tamba.. My DOB is 20th aug 91, time 2:22pm, place chandigarh.. I am wearing pukhraj in index finger right hand and pearl in ring finger left hand..
You do not need a Ruby because Sun is already quite strong in your chart. Pearl would be best for you because Moon is the weakest in your chart and it also rules your 9th house of luck and fortune. Wear the pearl on 27th July morning as per the procedure mentioned in above post. Sir i am already wearing pearl and pukhraj.. And shall i go for ruby.. Seva 7 ratti.. As ring has been made.. Just have to wear it..
Neeli is not needed. You should wear red coral. what ratna should i wear? I am jobless since 8 months, I am continuously appearing interview, I have 7 years of IT experience in IT, still I didnt placed anywhere. Please advice me. which Ratna will good for me. sir someone has advised us to avoid ratna dharan during these days...they told us that there is guru lop which means gods will be sleeping these 4 months(chaaturmaas)..
what is the truth behind this?? Yes Guru is ast currently but you can still wear gemstone on an auspicious muhurta. Next auspicious muhurta is on 27th July. sir but can emerald be wear on that day becuse its sunday??? 1) My marriage is delayed and not happen yet when will it happen, any remedies like gemstone, mantra etc, should i wear blue saphire will it help. In that case get a pomegranate plant planted in your plot on Tuesday. Hi, sir my date of birth is 26 July 1988 at 9:00am at Sitarganj, in Uttarakhand, please suggest me that what gemstone should I use or any suggestion. I am wearing a sunhela gemstone without specialized recommendation, should I wear it. Please suggest me what is good for me..
Sunhela is fine. You can also wear Ruby and moonga. Sir my dob is 20/04/1996 and time is 11:15 am place kanpur up...i am currently wearing pukhraj and recomded to wear moonga (red coral) also...are these stones correct for me to wear?? Thank you for doing such a selfless act of service for the well being of millions of people around the globe. May god bless you. My concern is I am also curious as to which gem is going to suit me the best. I have been wearing a 2.45 carat red ruby embedded on a pancha dhatu ring for the past week or so. My dob is 17/03/1986, 3:55 pm, Kathmandu, Nepal.Please do suggest what is the best gem for me. Yellow sapphire and red coral are also good for you. Hi Gaurav Ji my date of birth is 18t june 1972, place of birth: New delhi and time is 8pm indian time . please advise if I can wear Yellow Saphire. Yes, these are good for you. Hi , Gaurav Malhotra ji. My name is shashank shahi, my birth place is Mumbai ( bhandup) , Maharashtra , india. My date of birth is 10 November 1989 , birth time 7:15 am. I am 24 year old. Right now i am unemployed more than 4 year. Looking for job but not getting anything, if i have any chance to get any job somehow due to bad luck i loose that job opportunity or after working few days in that company some problem occur and i have to leave that job. And i was ill for 3 month from jab 2014 to april 2014 , right now i have illness gathiya(Gath ki bimari) problem in my body and i was always ill since childhood , there used to be total 4 operation had been don in my body since childhood and i am very weak in terms of health and bad luck in terms of job opportunity & money cant stay in my account its automatically gets finished due to urgent work. And i also have bad luck in love life and don't have any love partner. i used to love one girl in my college but again bad luck she didn't like me. What should i do ? Right now i am wearing pearl in my right hand little finger in silver ring. Before 7 years ago i used to wear Neelam , but i removed it(2008). 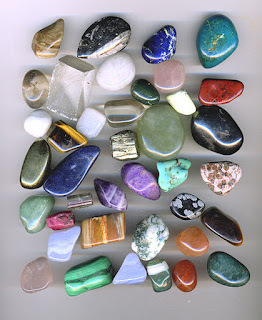 Please suggest me which stone should i wear and help me with my health and job problem & love life problem . Please suggest what should i do to improve my good health and job opportunity. I am patiently waiting for your reply. I hope you will reply me. Can you please suggest what stones should I be wearing? You should be wearing yellow sapphire and pearl. Sir, i bought a 6 ratti yellow sapphire cost 60k tested with igi/igl lab. but now i m in panic that i read on internet that 6 ratti yellow sapphire should not worn. 6 ratti is not good, is it right or not ?. i feel betrayed after reading this. please advise me sir. No that's fine. You can wear 6 ratti sapphire as well. Don't worry about it. Namaste Sir. Im Homkala Limbu .from london my DOB 05.01.1968 9.10AM in Nepal..would like to know about which stone is good for ma .could u advice me plz..
Blue sapphire and diamond are good for you. You should wear Pearl and Rahu yantra. Which gemstone shoul i use for getting job and financial prosperity. Which field is good for my career. Will blue saffire gives me good results? Sir I need ur help and I am glad that I met the perfect person for it.my dob is 10/12/1993 and time is 22 hr 13min in Ahmedabad.do I really need to wear yellow sapphire according to my horoscope amd planetary positions?im asking as I have one ans going to wear it. Yellow sapphire is good for you. Helo sir!! U are doing tremendous job by clarifying our doubts in gemology!! V consulted a pandit last week and he was suggesting me to wear a kanaka pushyaraaga stone(on thursday) to eliminate negative energy and dhristi. He also told us that i 'm going through bad phase and he stressed on wearing the ring. Pls help me. Should I go for the ring? If so 'll that bring gud fortune to us? Guru ji mai D.U se M.A kr rha hu.mai civil services me jana chahta hu or mujhe pichle 5-6 saal se skin ki problem h.plz mujhe bataye ki mujhe kon se ratan dharan karne chahiye.plz help me. You should wear white Opal and an emerald. It depends on the muhurta. Next good muhurta is on 16th October between 11:42am and 12:30pm. Could you please let me know ..when will i get new job (not on job since last 3-4 months) and also when will i get married ? Namaste Pandit ji, I just want to know the next good muhurta to wear Ruby. My name is Suraj Kumar. I am wearing Emerald (4 ratti) silver ring in little finger, and a silver challa in my thumb. can u please suggest me which ratna should i wear to get success in my life. I have Graduated in MECHANICAL ENGINEERING, i want to get a government job. I am also giving some competitive exams but not getting success in any of it. What is the good time to wear yellow sapphire and when it can be worn in near future. facing lots of problems in professional as well as in personal life also. financial problems & life is very unstable loose my job after every six months.unnecessarily people goes against me. Instead of being a MBA havent got any good job. When can be Pearl worn, can it be done on Thursday 16th on Gurupushya yoga. You should wear both white opal and emerald. Along with this you should also wear shani yantra. All the decisions gone wrong in life. very much disturbed & frustrated. pls. Help me out . Mercury rules over decision making power and in your horoscope it is debilitated. It's dasha started from June 2012 so you would have got most of your decisions wrong after that. Please recite the mantra given in the following post everyday for at least 108 times. Recite this mantra on Diwali night (23rd Oct) from 11:30pm till 3:30am. It will give very good effect. Thanks for sending your mail. I just wanted to ask my guru dasha is going on is it okay to wear shaani yantra. Can you please tell me how much it cost is and how long it takes. No problems with my current Job. Yes you can still wear shani yantra. It will cost 5000 rupees. I will be making it on 13th Nov.
for me . Awaiting for your reply. You are really great . then that what shud i wear in order to get back what i have lost. I am wearing emerald,, white opal and silver ring. I am a MANGLIK. I am facing delay in marriage. Please help and suggest. Thanks and Regards. meri DOB 28.09.1985 time. 2.15 am. Place. Kuchaman city.distt nagaour rajasthan hai. main apni kundali k anusaar rashi ratan dharan karna chahta hoon. Kripya salah de kaun sa ratan dharan karna sahi hoga. my DOB : 10-Jun-1987, place : Niphad (dist : Nashik), Time : 1:28 AM. mere mind hamesha sochta rehta he.. kabhi me real duniya me rehta hi nahi hu. raat ko nind ni aati aur uske wajah se kafee bimariya ho rahi he.. maine monga aur moti neck me pehna hua he aur rahu-guru nashak chandal dosh nivarak locket pehan ke rakha hua he..
please suggest kya karu me. Sirji..mera dob 24.06.1981, time 3:45pm, place- allahabad hai.i am unmarried till now anf manglik. Kindly suggest remedy and stone. Thank you. Please wear yellow sapphire and Pearl. Dear sir mera naam Sandeep Kumar,D.O.B-27-08-1981 at Karnal(Haryana), 4:30 morning time ha, mujhe koan sa rattan dharan karna chahiye. Kya zarkan mere liye upyukat rahe ga.
You should wear a white Opal and a 2 mukhi rudraksha. You should wear a yellow sapphire and Pearl. Apart from this you should wear a 8 mukhi rudraksha and a 12 mukhi rudraksha. My DOB is 31-12-1988 at 15.50 in Razole, Andhra Pradesh, can you please suggest me my gemstone and what might be suitable for me. You should wear an emerald. Apart from this wear a 14 mukhi and 12 mukhi rudraksha. I am wearing Lehsunia 9 ratti in silver RH middle finger from last 2 months and Panna 7.25 ratti in gold RH little finger. I am facing lower back issue for last 6-7 months, instability/unsatisfaction in job. Would this come to an end? Am I on the right track? Something else I should opt for? Please wear an emerald and a 8 mukhi and 6 mukhi rudraksha. Mein Tution karta hoon mine BCA kiya hei lekin job ya permanent buissnes kuch nahi ho pa raha hei.Shadi mein bhi archane aa rahi hei kripakarke Muje batay konsa stone kitna carat aur konsa finger mein pahanu plz. dear Gaurav ji , request you to kindly suggest right finger and hand for wearing White opal . Is that those above Gamestones are suitable for me? ?